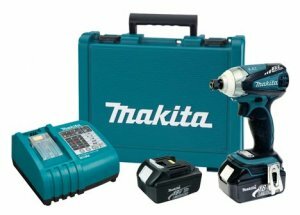 One thing I really like about Makita is that they update their tools often; in many cases frequent updates could be perceived as a bad thing, suggesting that a product is being updated to fix an issue, but I have never found that to be the case with Makita. I have been using Makita impact drivers for over 10 years now, well before they were popular, and have used a few different models during that time. This time around Makita has no huge changes to their new LXDT01 1/4-inch Impact Drivers, but even the minor changes are always good news for first times buyers and people looking ti upgrade. The LXDT01 carries over all of the big changes that were on the BTD144 that was announced a little over two years ago, things like the more efficient brush-less motor that is said to offer 20% more battery run-time, the 3-speed power selecting option, a separate LED light switch, and the much shorter 5-1/2-inch head length. In fact, the only change that I can see, though Makita likely made improvements to the internals, is an increase in torque to 1,460 in. lbs. The LXDT01 is a direct replacement to the BTD144, so you will soon not be able to find it in stores, and should instead look for the updated model. Unfortunately for us, the LXDT01 is $15-25 more then its predecessor, but the price should come down over time. As always, Makita has the impact driver as a tool-only option (LXDT01Z).